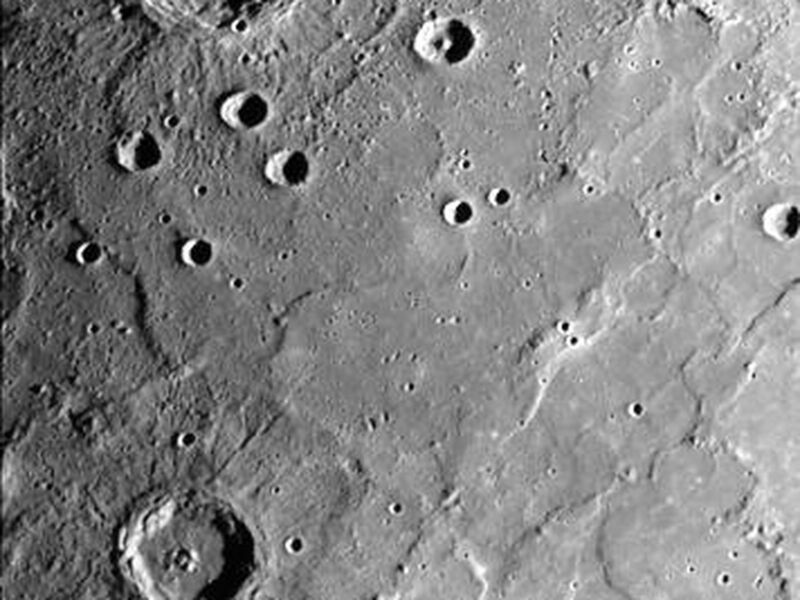 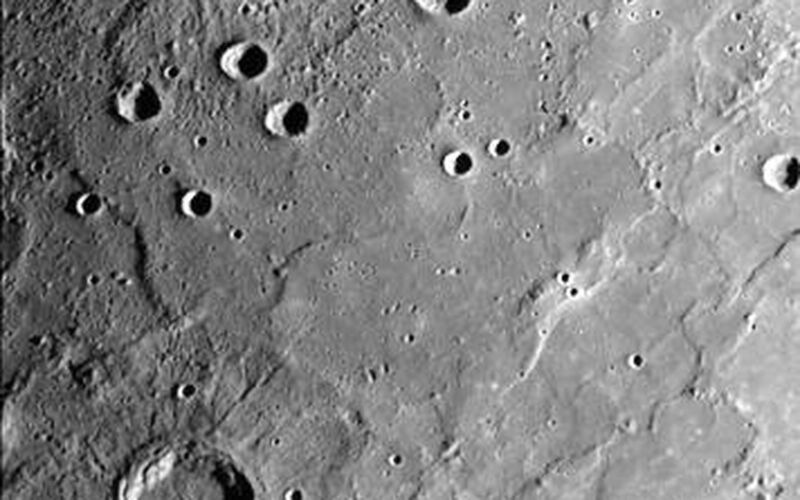 Young craters (the largest of which is about 100 kilometers in diameter) superposed on smooth plains. 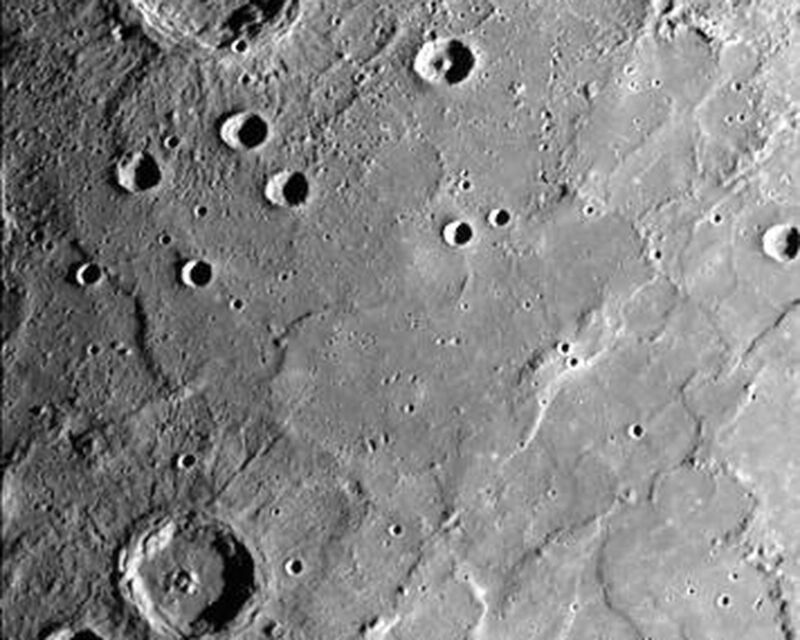 Larger young craters have central peaks, flat floors, terraced walls, radial ejecta deposits, and surrounding fields of secondary craters. 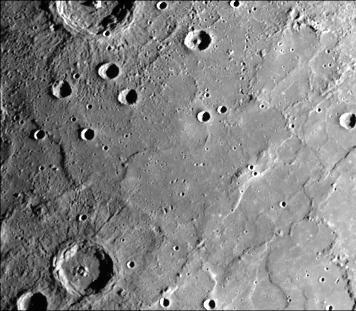 Smooth plains have well-developed ridges extending NW and NE. This image (FDS 167), acquired during the spacecraft's first encounter with Mercury, is located approximately 60 degrees N, 175 degrees W.